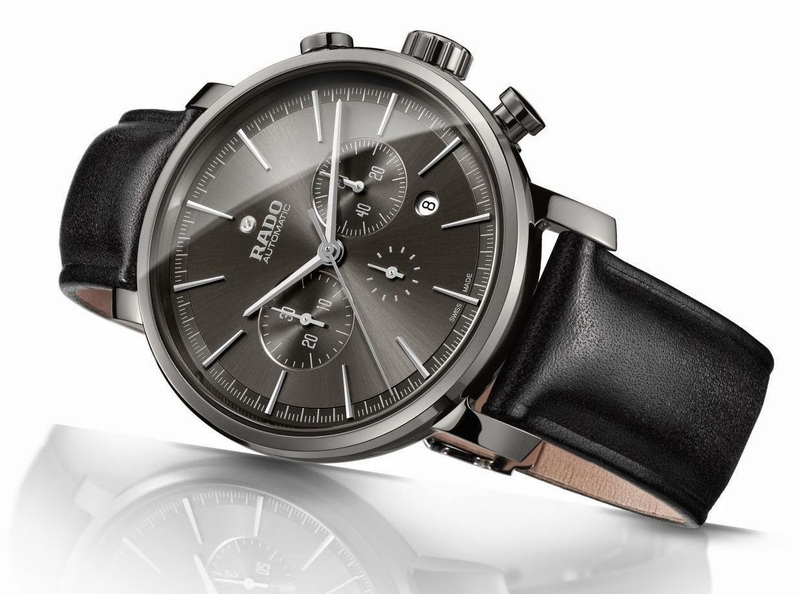 The Rado DiaMaster Automatic Chronograph XXL combines both with an added dose of manly magic – in five fantastic versions. For the superhero in you there’s a black matt version, while the shiny black is clean and classic. 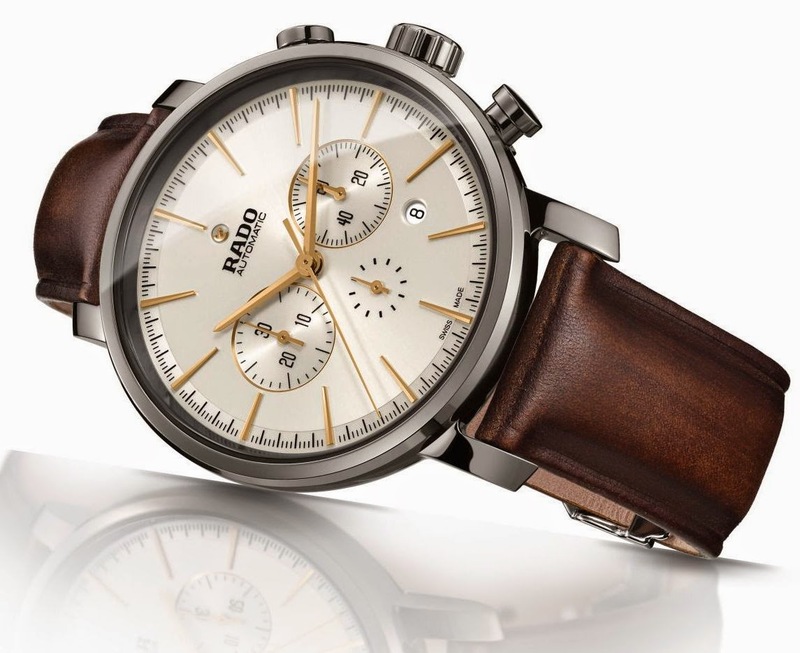 The three plasma models offer an additional touch of Rado material mastery – without compromising on the ceramic. This striking metallic look, created in 100% high-tech ceramic, is a patented process and Rado‘s experts have gone the extra mile to keep the shine without adding to the weight. During the plasma process, the molecular composition of the surface of the ceramic is changed by gases activated at high temperature. Scintillatingly scientific and super stylish, plasma high-tech ceramic has a brilliant metallic shine in a warm grey tone, without using any metal. The five-link high-tech ceramic bracelet design created for this collection is another example of Rado’s expertise with high-tech materials and complex micro construction. 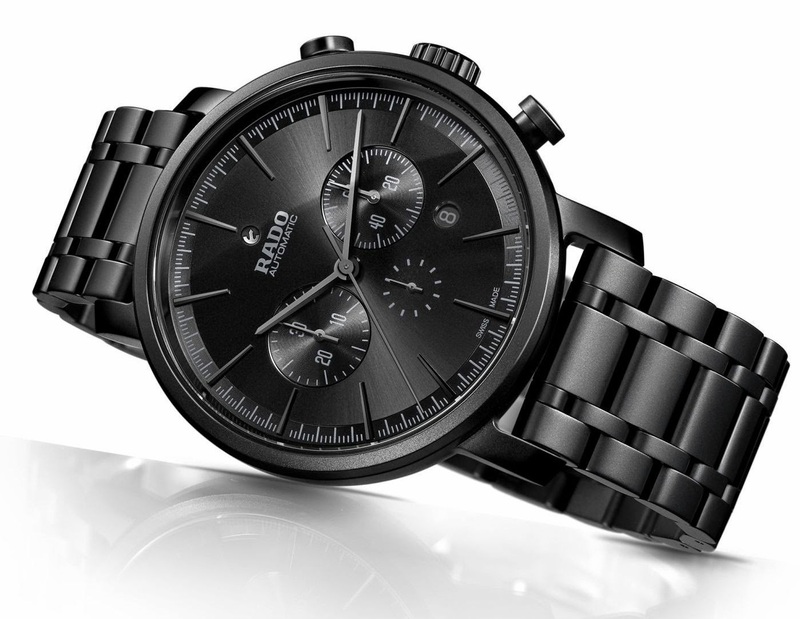 With upto 100 individual links in a single chronograph bracelet, this is Rado at its very best. Material and design work together for ultimate comfort as the bracelet’s increased flexibility fits the wearer’s wrist perfectly. This unique, super high-tech construction fits every size of wrist and adds a bold statement to an understated watch. For the man who prefers a more vintage look, two of the plasma models feature a strap inspired by the design of classic handmade Italian shoes. In grey or in brown the straps have a gentle ombré effect, which contrasts perfectly with the technical shine of the super modern plasma cases.